Tienda de sandalias tipo cangrejeras para vestir para niñas y mujer. > Toddler girl>Sandals>New T-strap sandal shoes with jelly design to dress. 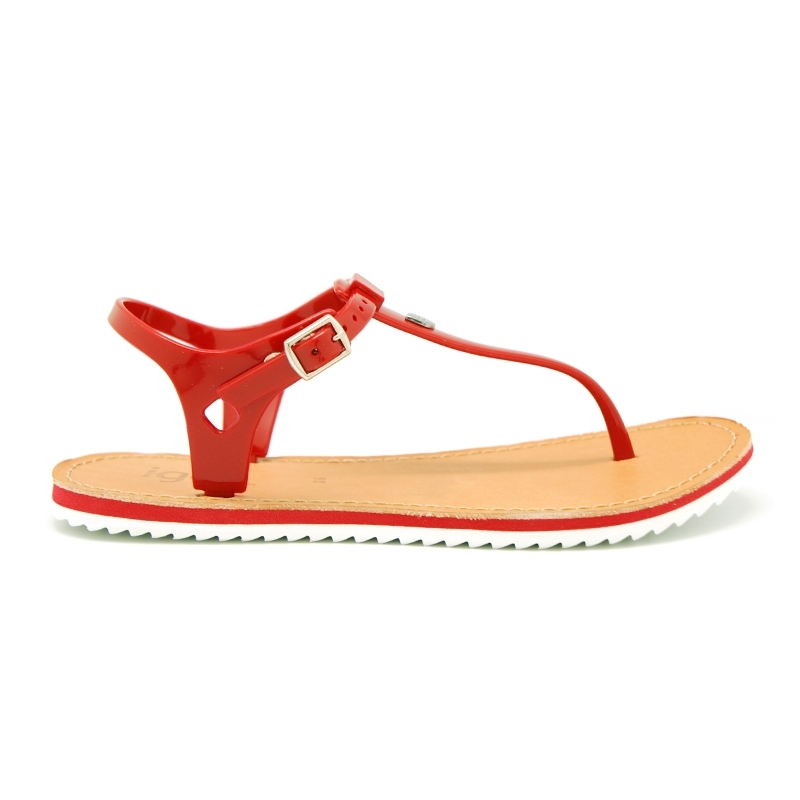 New T-strap sandal shoes with jelly design to dress. 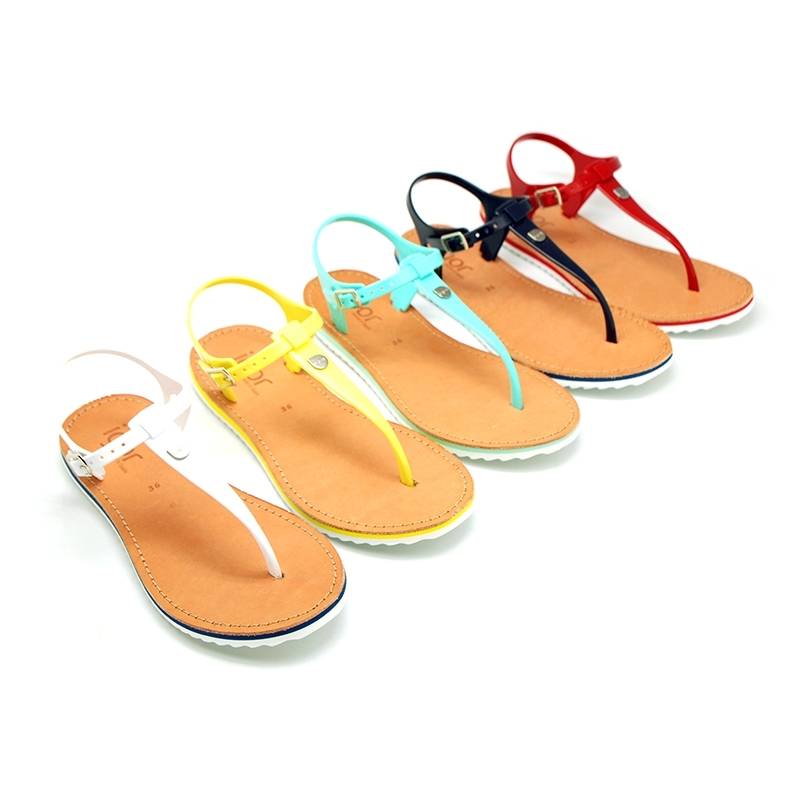 New T- Strap sandal shoes with jelly shoes design and leather insole to dress for toddler girls and moms too. 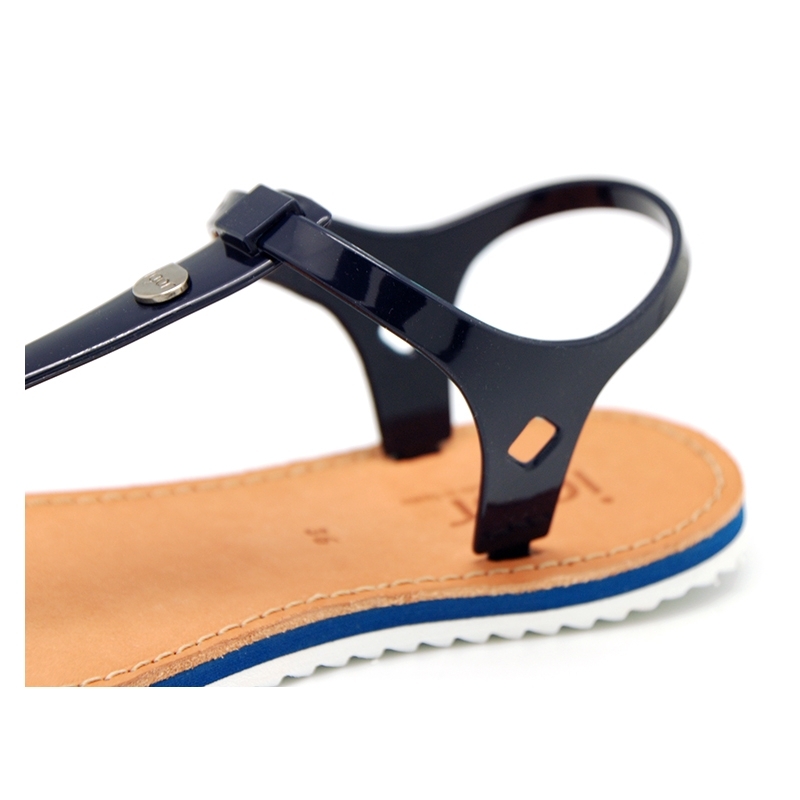 More info about New T-strap sandal shoes with jelly design to dress. 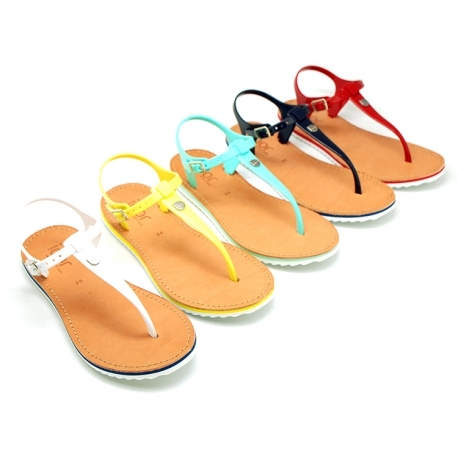 T-Strap sandal shoes for dress jelly shoes style with buckle fastening and leather insole for toddler girls and moms too. 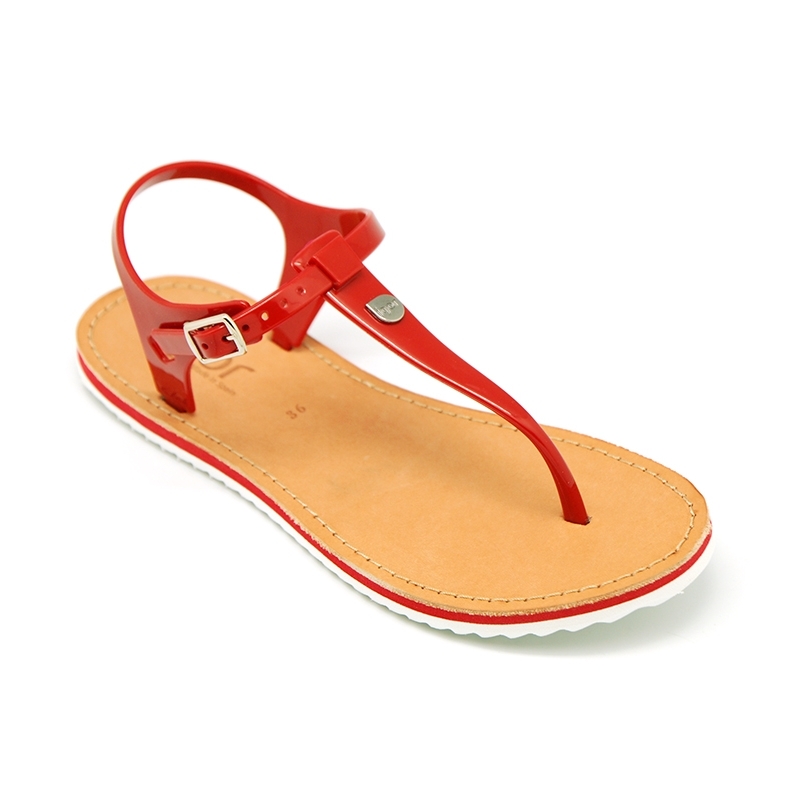 Made up of seasonal colors, perfect to mix and macth with all their fresh looks this summer. ItÂ´s the latest in fashion and you can dress it with a pair of jeans or a short as well. 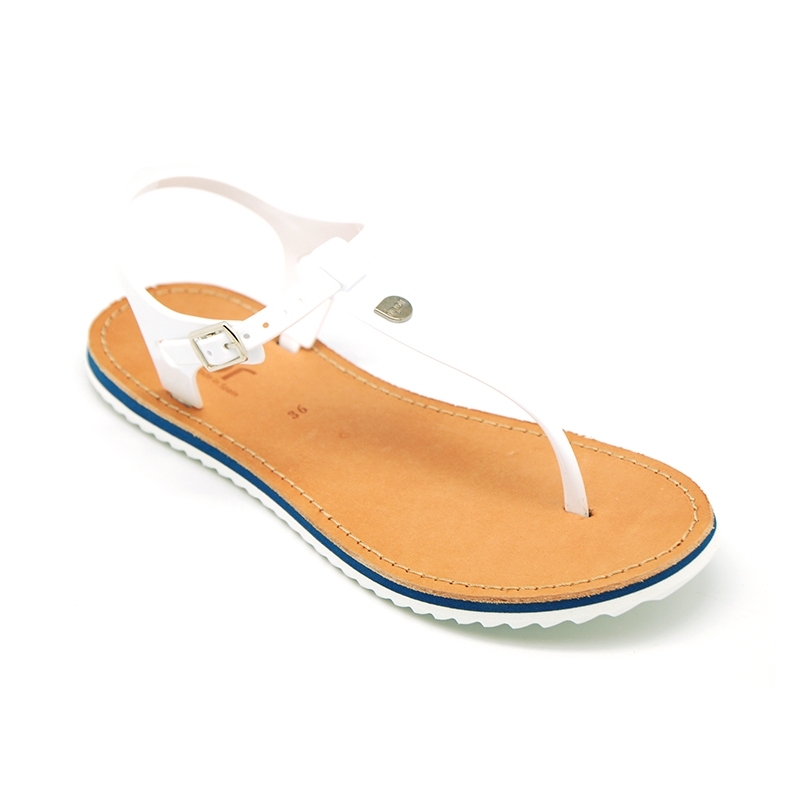 ItÂ´s and updated model of the clasic jelly type shoes but with a regular sandal shoes. 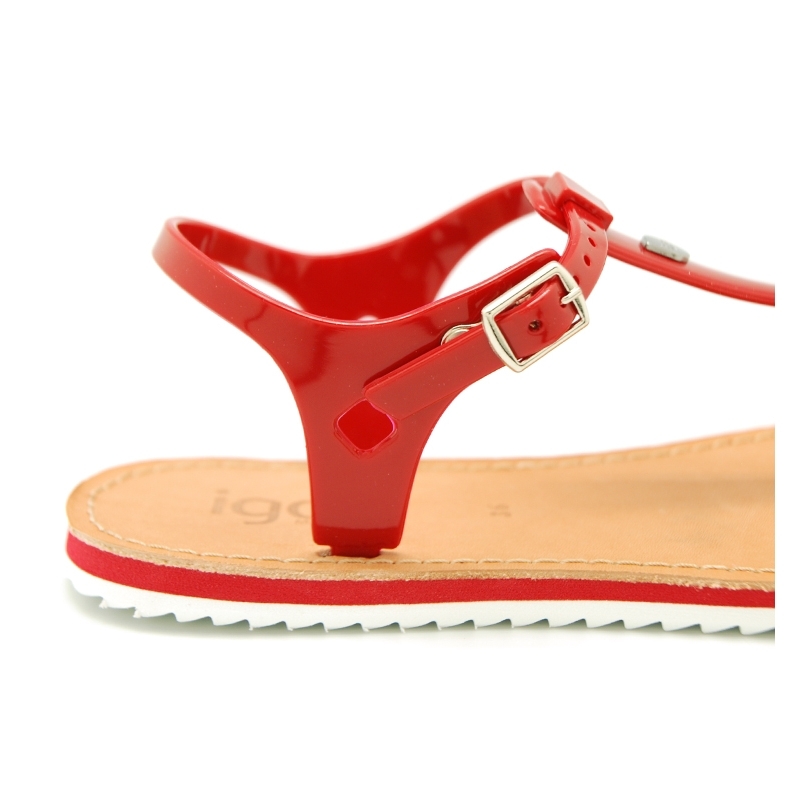 With buckle fastening for a better grip. 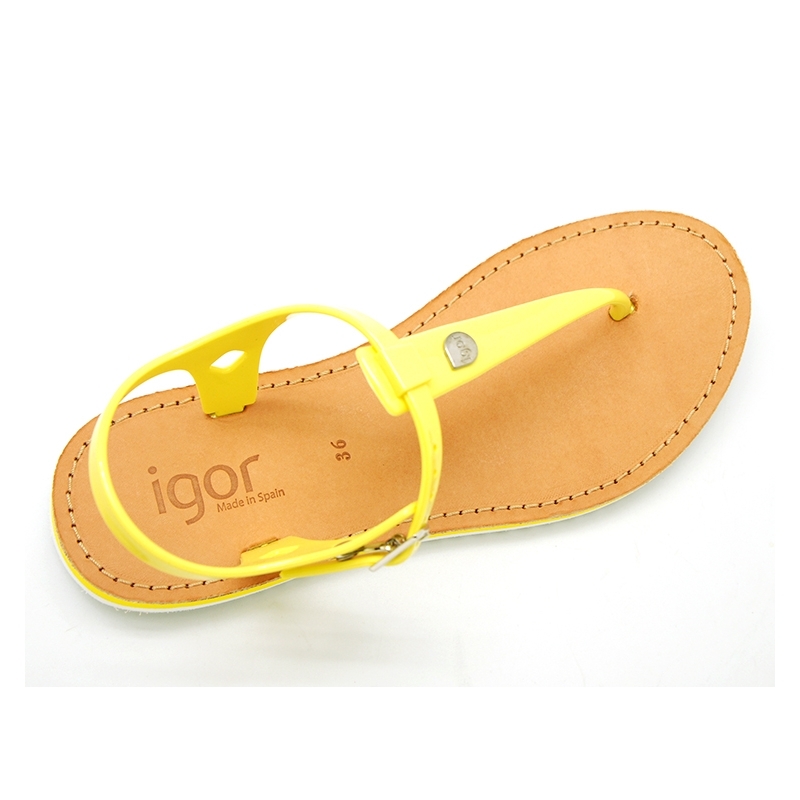 Non slip leather insole for a good perspiration of their feet. Very comfortable and light. Made up of 100% PVC, and totally flexible for their feet. 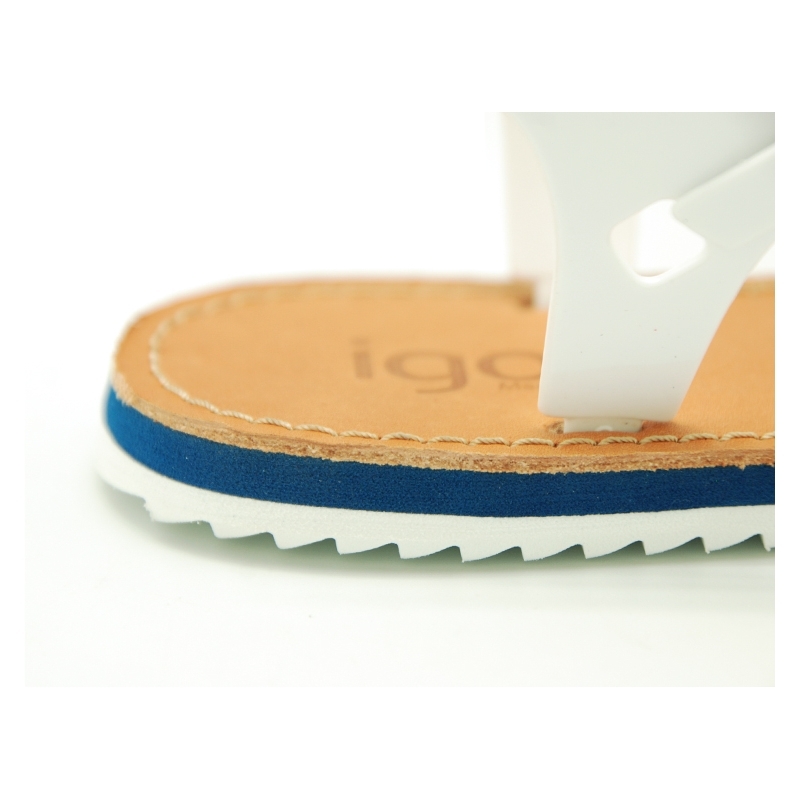 With White rubber insole very trendy this season. ItÂ´s a NEW model very chic and elegant. Available in 5 colors. Sizes range:from 36 Euro size up to 41 Euro size. SIZING REGULAR. 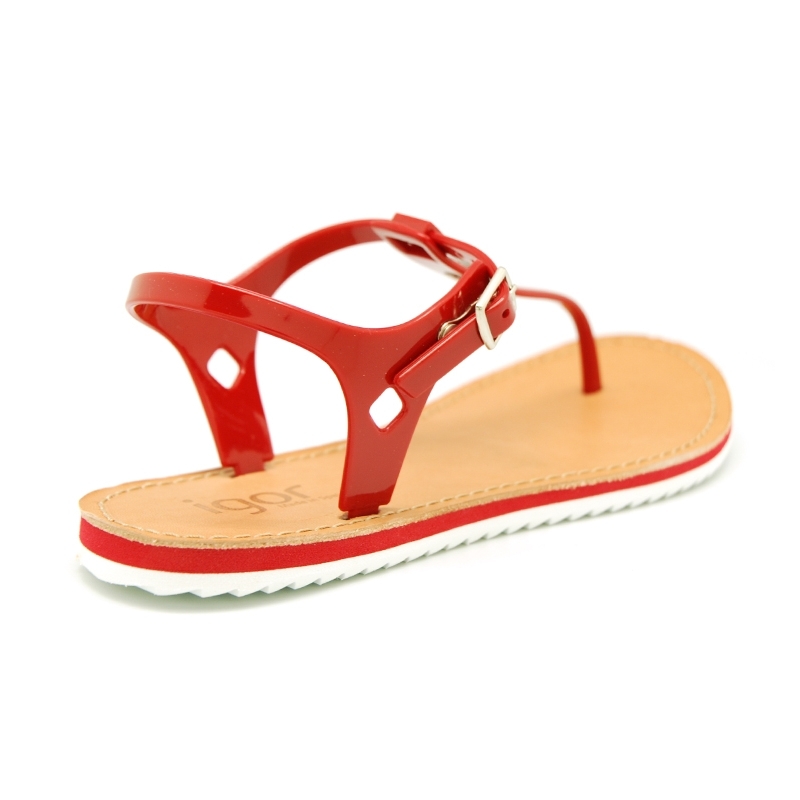 Data sheet about New T-strap sandal shoes with jelly design to dress.